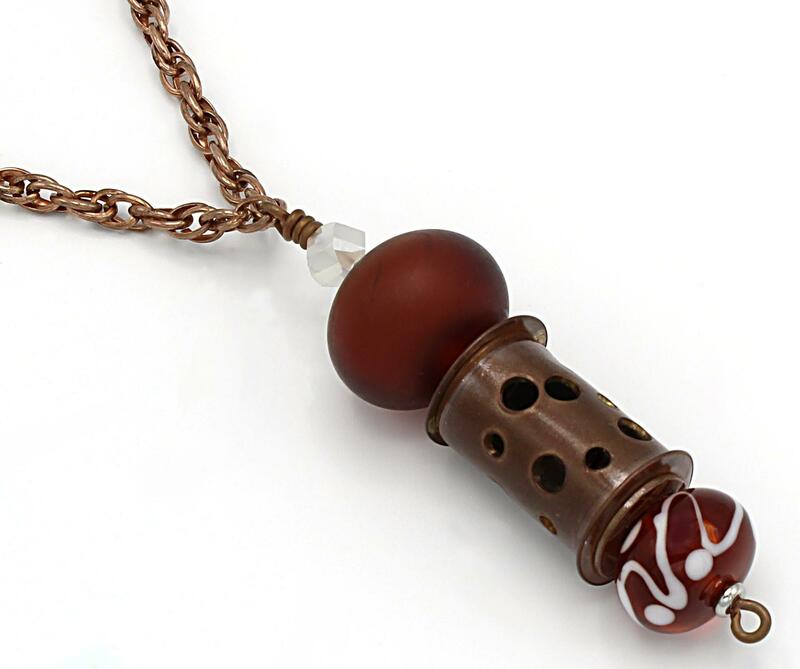 Handmade copper bead with blown, hollow lampwork beads. Top bead has been etched. Pendant measures 3" and hangs on a 34" copper chain (no clasp).